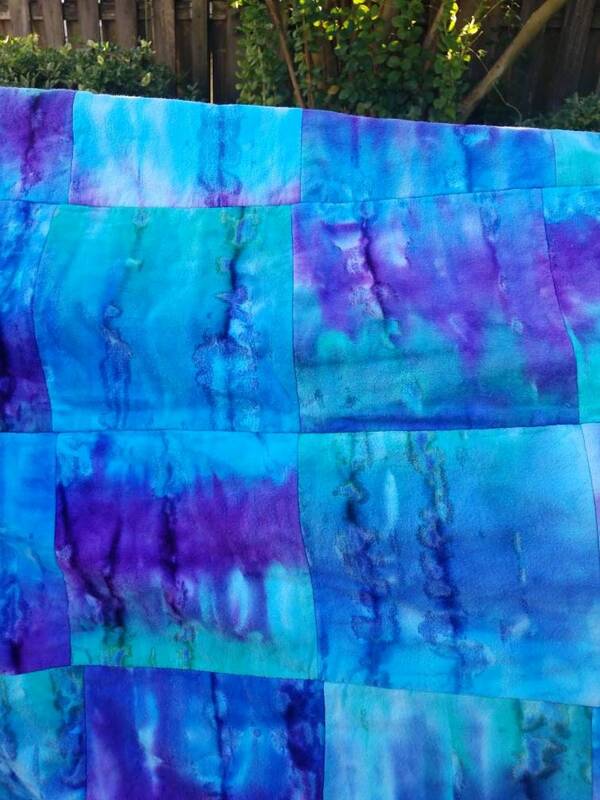 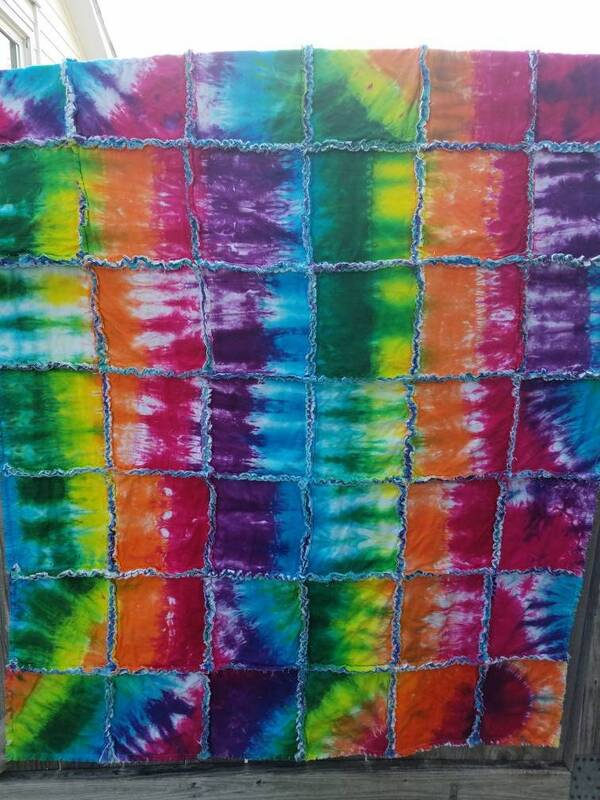 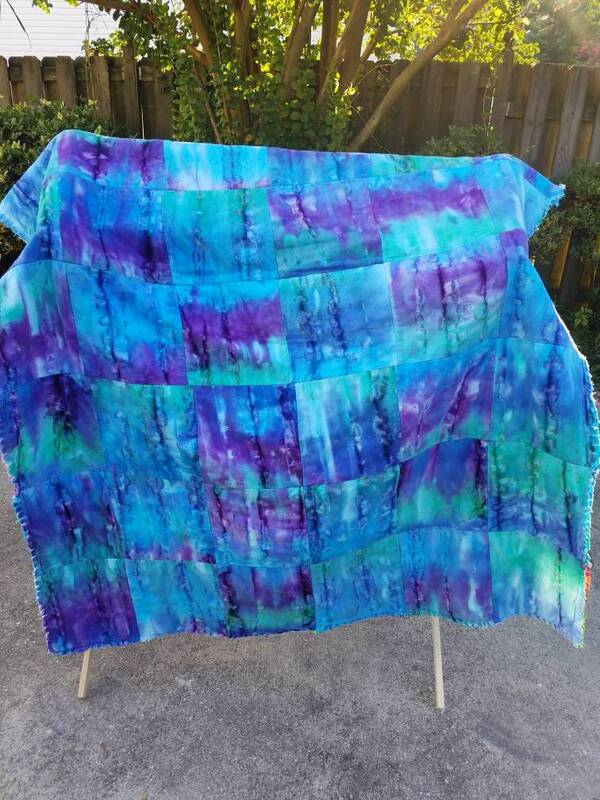 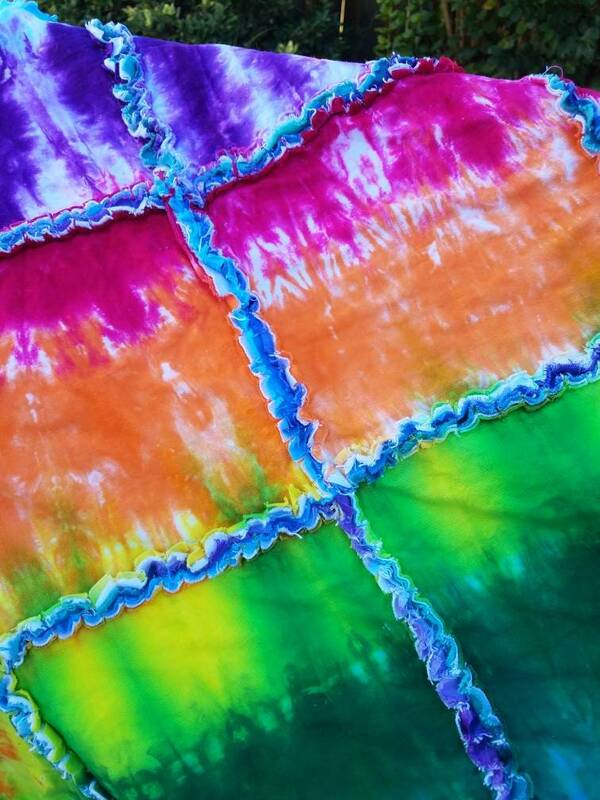 One of a kind tie dye quilt. 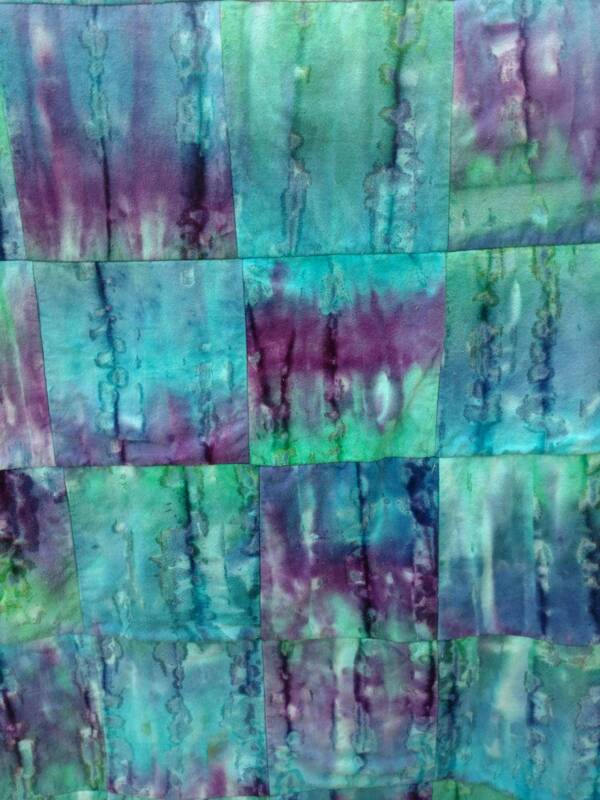 Hand dyed with fiber reactive dyes that chemically bond with the fabric so that the dyes do not fade or run. 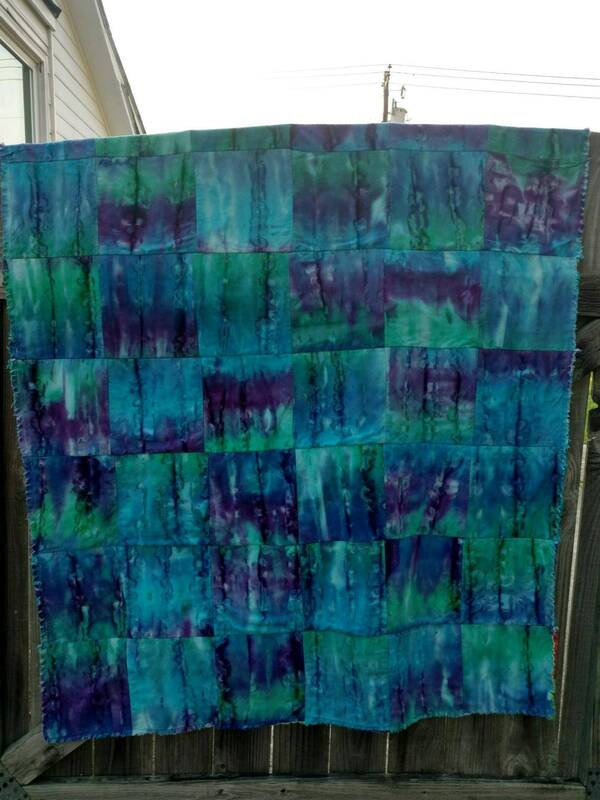 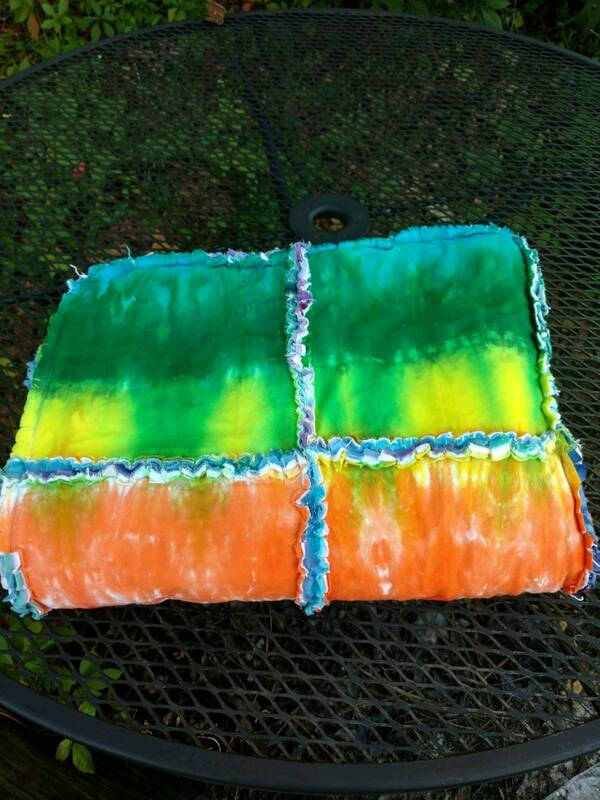 Shabby chic quilt will look great on a picnic, in a dorm, in a kid's room or on a couch. 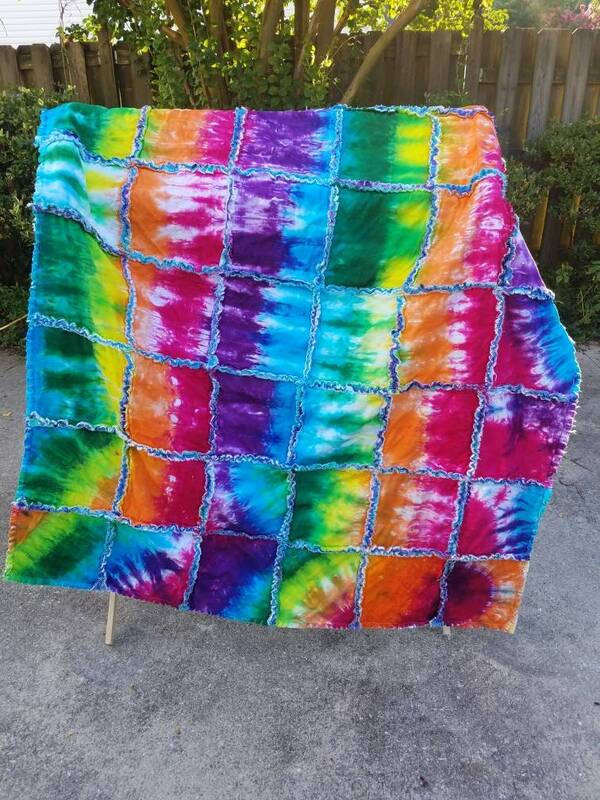 Measures approximately 68 inches by 50 inches.